​VENDORS MUST BE SET UP TOTALLY BEFORE 9 AM. WE WILL OPEN AT 8 AM. FOR VENDORS. 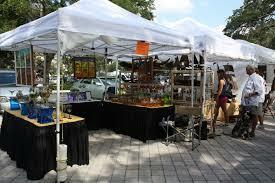 VENDORS MUST SUPPLY THEIR OWN TENTS, TABLES, TABLE COVERINGS, CHAIRS AND TRASH CANS. PAYMENT ONLY! YOU MUST SUBMIT SEPARATELY BOTH PAYMENT AND REGISTRATION. IF YOU ONLY PAY, YOU WILL NOT BE A REGISTERED VENDOR. MAKE SURE YOU DO BOTH TO INSURE A PLACE AT THIS EVENT! This includes retail such as Avon, Pampered Chef, 31, Tupperware ect. Space is limited to one 10 x 10 Space for this price. Fee is 10 % of Sales *Note: Food Vendors are subject to inspection by Greene County Health Dept. and must obtain a permit from the Health Department 423-798-1749 to operate at event. Food Vendors must submit copies of all licenses required to sell food to Greeneville Farmers Market along with registration. Food vendors must submit a menu with pricing along with registration, and are only allowed to sell food listed on approved registration. No Electricity available. If you have a business name, please list it here. Please send Photos in a separate email of products you are planning on selling.